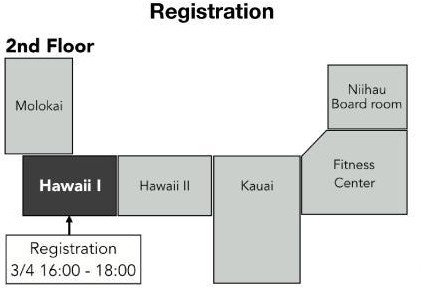 The 2019 RISP International Workshop on Nonlinear Circuits, Communications and Signal Processing (NCSP'19) will be held at Hilton Waikiki Beach Hotel, Honolulu, Hawaii, March 4 -7, 2019. This workshop is open to researchers from all over the world. In particular, the organizing committee encourages students to present their preliminary results that are not necessarily ready for publications in technical journals. 2019-03-08: Student Paper Award has been updated. 2019-03-04: Conference Proceedings have been uploaded (Password is required for unzipping the compressed file. The password is, REFER TO EMAIL. Available download period is until March 31, 2019). 2019-02-21: Social Events has been updated. 2019-02-21: Workshop Program (Revised Final Version) has been updated. 2019-02-17: Call for papers has been updated (The copyright of accepted papers will belong to the author(s)). 2019-02-15: Workshop Program (Final Version) has been updated. 2019-02-08: Social Events (Tentative) has been updated. 2019-02-07: Workshop Program (Tentative) has been updated. 2019-01-18: Tour Information has been updated (Tour application deadline has been extended to January 24, 2019). 2019-01-07: Registration has been updated. 2018-12-30: Paper Submission Guidelines has been updated. 2018-12-17: Tour Information has been updated. 2018-11-16: Paper Submission has been updated. 2018-11-12: Paper Submission Guidelines has been updated. 2018-10-29: Supported organization has been updated. 2018-06-01: NCSP'19 Website has been opened. Student authors are eligible for student best paper awards at NCSP'19. To be eligible the paper must be authored and presented by the student. Students interested in participating in this award process are required to submit a final paper to present a nice talk for considering by the judges. Awarded papers will be strongly recommended to be published in the Journal of Signal Processing announces a forthcoming Special Issue on Nonlinear Circuits, Communications and Signal Processing. 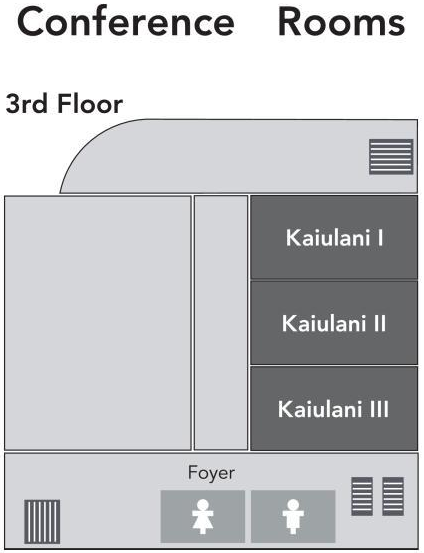 All the sessions will be held at Kaiulani I, Kaiulani II, and Kaiulani III (3rd floor).